With over 30 years' experience in the industry, state-of-the-art equipment, diverse fabrication techniques, and a highly skilled and professional team, we are constantly striving to raise the bar and bring you the best in the industry. 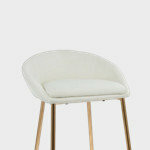 We will not push you into a decision that you will regret and aim to answer all product related questions. Fabricators Unlimited is a family owned and operated business based in Fargo, North Dakota. 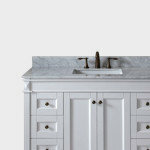 We aim to provide the best wholesale countertop fabrication and installation services available. We have branches located in the following Upper Midwest cities: - Billings, MT - Bismarck, ND - Blaine/Minneapolis, MN - Brainerd/Baxter, MN - Fargo, ND Call today at (701) 203-9663 or click the "Contact Me" button to schedule an appointment to visit our showroom located in historic downtown Fargo. We will work with your Designer, Contractor, or Architect to create your dream space. These are the brands that we trust and fabricate with: Laminate: Wilsonart, Arborite, Formica, Pionite, Nevamar Solid Surface: DuPont Corian, Wilsonart, LG Hi-Macs, EOS Cupron, Formica, Avonite, Staron Quartz: Cambria, LG Viatera, Wilsonart, Silestone, DuPont Zodiaq, HanStone, Caesarstone, Granite: Sensa, Scalea Other materials: Dekton Our in-stock postform laminate and in-stock quartz program allows for shorter lead times on some of the most consumer driven color choices in the marketplace and features the best materials from Cambria, Wilsonart, DuPont Zodiaq, Wilsonart, Silestone, LG Viatera, and TruQuartz. 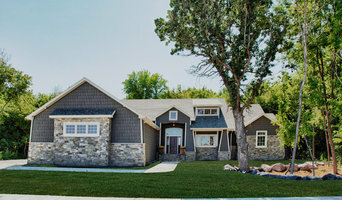 Dabbert Custom Homes was founded by Don Dabbert Jr., who has been building homes in Fargo and the surrounding area since 1992. Today, we’ve grown to become a premier home builder in the region with a reputation for eye-catching designs, attention to detail and quality construction. We specialize in designing and building model homes as well as custom-built homes to suit your needs. 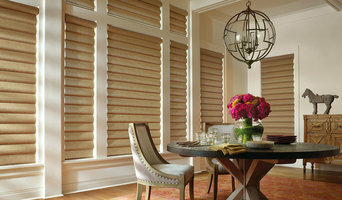 *Hunter Douglas Authorized Dealer* Design Direction is an interior design company in Fargo, ND offering a full Tool Box of services and products for new construction, remodeling, and redecorating. We carry a complete line of floor covering products, from hardwood, and ceramic tile to carpeting, and window coverings, from blinds to custom draperies and bedding. We partner with a great team of professional installers to complete your project. We also assist clients with services such as interior decorating, design, cabinet layout, space planning, furniture, accessories, stain and paint selections. When you work with Design Direction you can expect us taking time to get to know you, as every client is unique. Your home or office will reflect “you” when we are finished. At Design Direction, we start out with a creative session getting to know you, your vision, and requirements before planning your project. It’s important to us that your home or office reflects your needs and lifestyles. Every client is different, and we embrace that. Our background in working with contractors, builders and architects allows us to work alongside the other professionals during the building process, ensuring your project will be completed efficiently. Along with design services we sell products for floor coverings, window coverings, cabinets, countertops, lighting and furniture. Our space planning and room layout services will help integrate all of the design elements needed for your area. Jordahl Custom Homes is committed to superior customer service and quality craftsmanship. Our hands-on approach begins with the designing of your custom floor plan by our in-house draftsman and sales team. The design team will then walk you step-by-step through the selection process, customizing your home to meet your needs and desires. Jordahl Custom Homes’ project managers monitor your home through every stage of the build, ensuring your home is held to our highest standards of quality. Titan Homes is a custom home builder in Fargo, West Fargo, Moorhead and surrounding areas. Whether you begin from one of our model plans or start from scratch, we help design and build the house of your dreams. You get the personalized attention you deserve from start to finish; from the design of your plan to picking out finishing details, our Project Designers are there every step of the way. Titan Homes was founded in 2005 by Angie Kuznia. In 2009, in house realty services were added and in 2012, Titan Homes became licensed in Minnesota as Titan Homes MN, Inc. In 2014, Titan Homes moved into a new office space with dedicated design center, conference room for client meetings, and employee offices. With excellent project management, most new construction is completed in as little as 90 to 120 days. Titan Homes uses the best subcontractors in the area to assure the quality you deserve and offers a one year manufacturer's warranty on our homes. M & J Construction founded in 1966 has over 40 years specializing in roofing, siding and remodeling. M & J Construction has seen many changes to it's industry, but one thing that has remained constant is their commitment to their customers. They are licensed and insured in both Minnesota and North Dakota. The employees of M & J Construction completed the OSHA Safety Training which they now are First Aid and Safety certified. M & J stays on top of the changes and learns new ideas from attending the International Builder's Show. "Because it's your home... We Care. We've been a part of the neighborhood since 1966." 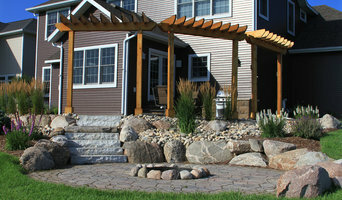 Deckmasters is your local specialty outdoor lumberyard. This means we have everything you would need to build a deck, fence or pergola. Do-It-Yourself-ers and contractors alike can purchase the highest quality decking, one of the best treated lumber. railing, fasteners, wood embossed aluminum pergolas, and vinyl or aluminum fencing. 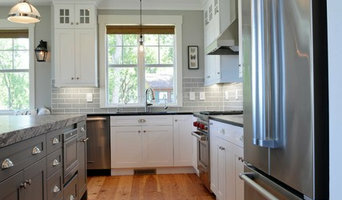 If you are not a Do-It-Yourself-er we are a complete Design Build Contractors with Professionally Certified Installers. 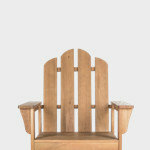 On outdoor building supplies, we also offer a wide selection of furniture form lines like Amish made Poly and Homecrest. At Radiant, we expertly design and build your dream home. 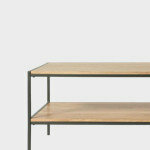 We don’t have a set of stock floor plans to choose from. And, we don’t reuse plans from our past. We take your style, your ideas, and your dreams, and mold them on paper, not missing the fine details that matter most, until your future home is truly unique to you. Watching your home lift off the paper and built on your favorite setting is a priceless experience. We work tirelessly to make the experience second to none. Whether you’re looking to build a legacy at the lake or in the city, we look forward to being a part of that journey. Your home will be uniquely yours, designed by an architect, and built with integrity and craftsmanship that will last a lifetime. Custom Cinema started in 2002 as a hobby and over time has grown into so much more. We are the premier electronic systems integrator in the West Fargo-Fargo-Moorhead area. We design and implement audio/video and automation systems for your home or business including: home theater systems, multi-room audio/video, lighting, shading, networking, surveillance and high-end control systems. Our team of customer-focused professionals strive to recommend the best solutions and services to fit your home or business, all while working within your budget and vision. We can provide you with small music systems to full Whole House Audio/Video Matrix Control Systems. Please call us today to gets started! 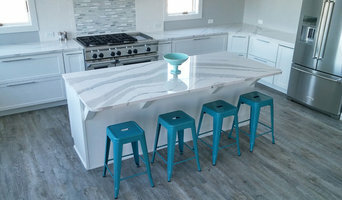 Northern Stone is your locally-owned source for stone countertops, dedicated to serving you with the personalized attention that only a small business can offer. We are committed to selling the best product for your needs, and providing all of the information you require to make a sound decision. With the help of our experienced staff, you can transform your space into the beautiful room you’ve always wanted - at a price you can afford. We take pride in getting the job done right the first time - on time, and can be trusted to plan your project with the care and attention to detail you deserve. Please give us a call today to schedule an appointment for your free consultation! We invite you to make Northern Stone your choice for the best quality Granite and Quartz countertops available. CHA Architecture + Construction (previously Chris Hawley Architects) is an award winning, full-service design studio focusing on residential architecture that pushes for innovation, regardless of style, budget or other constraints. Our goal is to provide an experience that is professional and tailored to each client. A home or lake retreat can be a legacy, and we bring that same passion to every project. Even if you're the kind of person who makes everything a DIY project, there's always a point when a home remodeling or decorating project could use a professional set of eyes. Whether you are redoing your backyard, need some help planning your living room or can't figure out where to put the kitchen sink, a quality home professional in Fargo, ND can help you do it right. Hiring a qualified Fargo, ND home professional puts their years of schooling, certifications, training and experience right at your fingertips. But before you start sending out dozens of emails and making phone calls, sit down and think about your project. What's your budget? What is the scope of your project? Will you need more than one type of professional to complete your home improvement project in Fargo, ND? Can you afford to complete the full project now, or should you tackle it bit by bit? Once you've settled on your project’s priorities, budget and scope, it's time to start researching Fargo, ND home design professionals. Don't sell yourself short and settle on the first professional you set your sights on. Make sure that you're working with someone local, who can get to the jobsite easily and efficiently. Look into the person’s reviews, ask to speak with former clients and to see previous jobs in person. Take a good look at their portfolio photos: How similar are these projects to your own? Be honest — that mansion might look beautiful, but it might not have a lot in common with your little bungalow. Reach out to multiple professionals — especially for larger projects — and don't settle for the first bid you hear. Comparing multiple Fargo, ND professionals' bids and experiences can help you find the one that’s best for you. Ask a lot of questions now, so you won't have unexpected answers later. Find a home design professional on Houzz. Narrow down your search by type of professional and location. Browse Fargo, ND portfolio photos, read client reviews and contact each Fargo, ND professional for more information. Check out the information in the specialized professional sections too for tips on how to hire the right professional for your project.